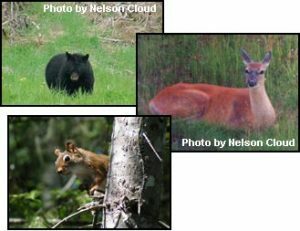 With our excellent location in central New Brunswick the area wildlife is spectacular. The bird populations around the lodge are healthy and so are the deer populations, be careful when driving in our area. Bear and moose require more time and patience to observe so make sure to bring a camera, sometimes these animals are spotted wandering around our yard and along the river here at the lodge.